Land use decisions affect a community’s vulnerability to drought. In general, land use patterns that maintain the integrity of watersheds and natural recharge, and promote a smaller paved footprint result in greater drought resiliency. This is because water resources are protected and runoff is reduced as rainwater remains in-place where it can be used within the community. 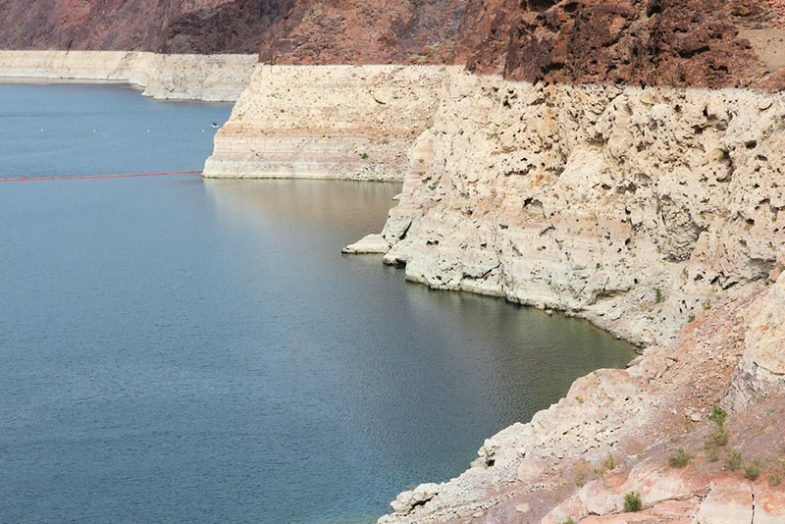 Prolonged drought in the American West has led to dropping water levels in major reservoirs such as Lake Mead. Zoning ordinances, land development standards, and general and comprehensive plans that support compact development, higher densities, water reuse, Xeriscape, and irrigation efficiency make communities better adapted to drought. In large part this occurs because there is less landscape to maintain, water is used efficiently, and more land is kept in natural open space. Drought resilient development puts less strain on water systems by reducing water demand as well as peak demand during summer months. In Arizona, drought planning is typically done in the context of state-mandated drought response plans rather than in the context of reducing long-term drought vulnerability. The response is implementation of increasingly stringent water use restrictions at different drought stages. Involving land use planning in water shortage contingency planning conducted by water suppliers can identify opportunities to avoid or mitigate drought response at the onset.